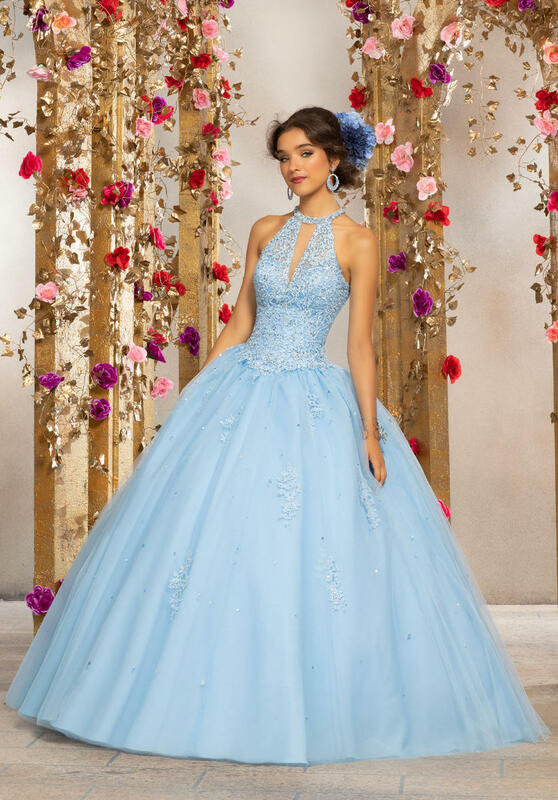 Crystal Beaded Lace Appliqu�s on a Tulle Ball Gown. Matching Bolero Jacket. Shown with Headpiece Style HQ102 in Silver.